Cannabis by itself has long been used for medical purposes and in recent decades has gained significant traction in becoming a common and preferred treatment for specific ailments. Cannabis is one of the fastest growing industries in North America. At CanaQuest Medical Corp we have unique, patentable formulas developed for medical ailments. We have entered the cannabis market with a competitive advantage, patent protected, unique medical product. Utilizing university-level research we have created specific cannabis oil lines. A unique THC + botanical extract formulation which mitigates or eliminates the negative psychiatric side-effects of THC: e.g. anxiety, depression, paranoia, cognitive/memory deficits (patient doesn’t get high) Alternative to opiods, thus addressions addiction and dependence. Effective for pain management. A unique CBD + select nutriceutical dietary additives aimed at synergizing the therapeutic properties of CBD in the treatment of anxiety, depression, schizophrenia, PTSD (chronic stress induced) and addiction. 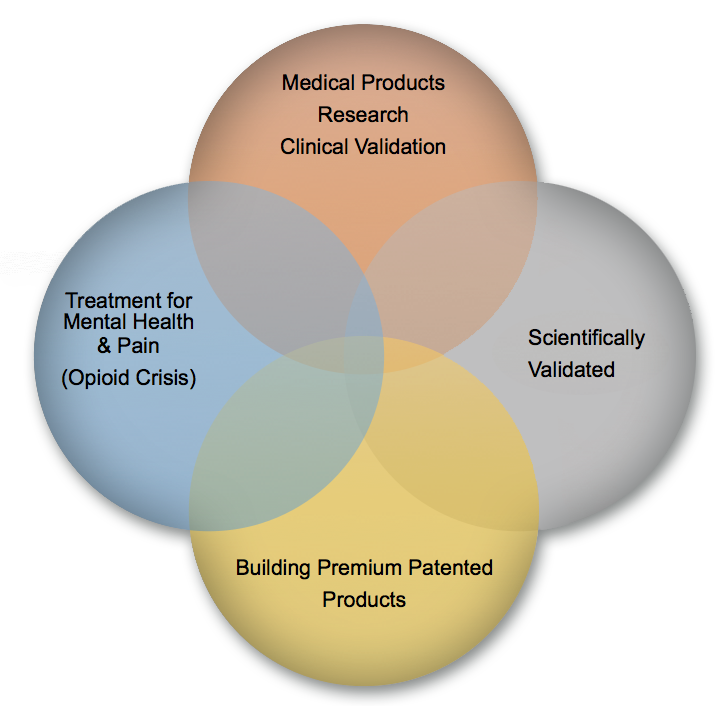 Expansion of novel THC and CBD formulations into specialized applications for targeted therapies in specific mental health symptom clusters.